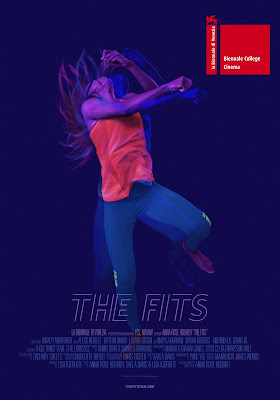 In the West End community of Cincinnati we meet Toni (Royalty Hightower), a tomboyish boxer who, while training at the gym, becomes entranced with a dance troupe down the hall. Struggling to figure out where she fits in, the difference between doing what she wants to do and what will make her more appealing to her peers, and learning to love what the majority loves Toni lands a spot on the after-school drill team. She eagerly absorbs routines despite her not being all that good in the beginning, eventually mastering drills, and even going so far as to pierce her own ears to fit in. While boxing fulfilled her inner most needs that seem to deal in a certain level of control over her body and mind the joys of finding her first friendships, the camaraderie, and her discovery of a new passion for dance outweigh what she will miss about the solo sport. It is reinforced often that being a part of the drill team means acting like a team member, supporting one another to make the group look the best they can, and ignoring any attempts to single one's self out as the clear star. It is shortly after Toni joins the team that some of the girls begin to suffer from episodes of fainting, swooning, and shaking in an uncontrollable fashion. Some describe it as a cathartic experience, others admit to never wanting to experience it again. The mystery lies in the fact no one can explain what is happening. In the end, the reason isn't what matters though, for it is what comes of these "fits" that affects Toni all the more. The fits become something of a rite of passage-another obstacle that Toni will again have to uncomfortably navigate through if she actually wants to feel a part of the group. This trauma she has yet to experience is drawing the other girls closer together leaving her to feel as excluded as she was when she was boxing. 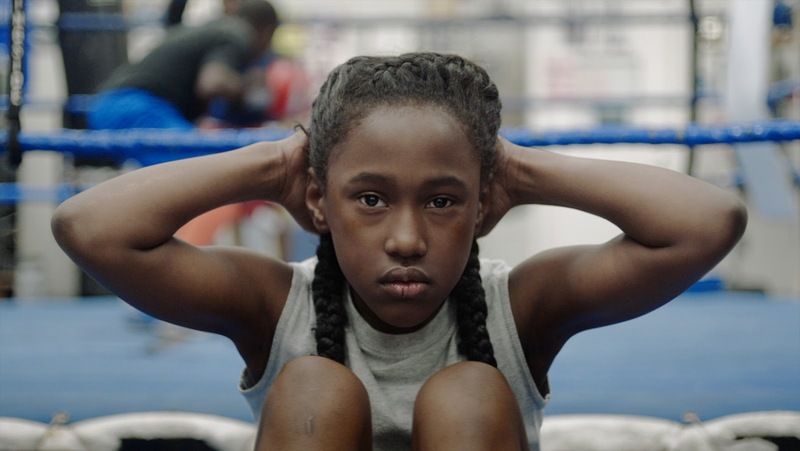 Toni (Royalty Hightower) is a young boxer who longs to be accepted by her peers in The Fits. What the film does best is be great in small moments. With its simple premise and complex main character the film allows itself to hone in on the dynamics of Toni's emotions quite often. It is in these small, mostly quiet moments where we can feel the struggle of Toni being caught between that need to feel a certain level of control over her environment and that desire for acceptance that ultimately overrides anything else at this stage in her life. The ultimate question the film asks is how far Toni will go to embody her new ideals. It is in these emotional dynamics that the film shines-highlighting not only the range of emotions that our protagonist is feeling internally, but also the larger more alienating atmosphere that pushes Toni to have to make these choices in this first place. Writer and director Holmer makes these emotions come to sport a strong presence through both her aesthetic choices and the bare-bones soundtrack. As with most independently produced films with micro budgets it is always impressive when the image we're seeing on screen comes off as a credible representation of legitimate skill in the filmmakers and cinematographer, but even more so when there is intent and consistency behind the visuals. Holmer and her cinematographer Paul Yee display a clear knack for eliciting the tone and type of story they're telling through their visual choices. Through both the framing, the dampened yet precisely vibrant color palette, and what they choose not to show us Holmer and her team capture the intense pressure of both alienation and isolation. It is in these details that are paid attention to that The Fits succeeds as both an insightful character study and a striking portrait of this specific time in life most will be able to relate to. Completed as part of the Venice Biennale institute program I'm anxious to see what Holmer does next.